Today's project is an example of how to use scraps. The two pieces of Watercolour Paper that you can see were actually off-cuts from another project. Rather than throw them away I decided to keep them and the perfect project came to mind. I actually watercoloured the paper using our fab Aqua Painters and some ink from our Ink Refills which I squeezed into the lids of the Classic Stampin' Pads which corresponded (in colour). You could use a piece of acetate or one of our Window Sheets. I had three on the go - So Saffron, Soft Sky and Soft Suede and picked up the colour and then washed in on. The wheat stalks were stamped using the Wetlands stamp set (available in Wood-Mount or Clear-Mount) - along with the Owl Builder Punch this stamp set has been a customer favourite this year. 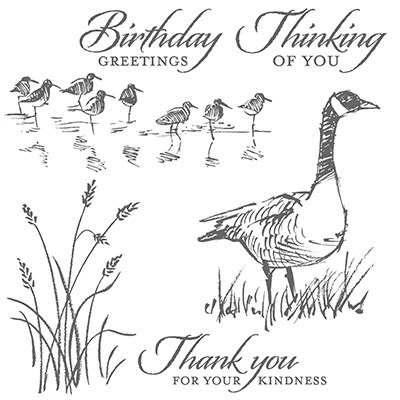 The sentiment is from the Thoughtful Banners stamp set which is packed full of wonderful sentiments and words and is perfect for any project. 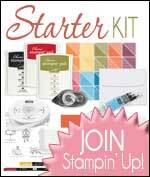 All of the products I have mentioned are available to buy from the Stampin' Up! 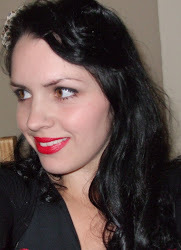 store - just click on the links or use the Shop Now button at the top of the page. Don't forget that it's currently Sale-a-bration which means a FREE gift for every £45 spent on products between now and the 31st March 2017. Read the top post for more information.